Ever since she was a precocious, little preschooler, my daughter stylishly and proudly accessorized each day with her purse of the day. Recently, we reminisced about the gentle reminder to always prepare herself with the essentials, a moisturizer, lip gloss, tissues and her pink and sparkly wallet. As she has grown up, preparing herself with the essentials has become a more matured process. 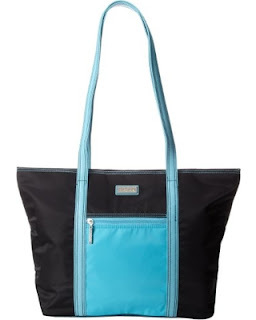 We recently upgraded to a very fashionable, functional, and fun everyday tote bag style appropriate for use at school, for travel and even convenient at professional activities. Honestly, if I were looking to replace my BFF, this could even be considered an option as a Mommy Bag. Thank you to the teams from Hadaki, Kalencom, and Blogger Bash for sponsoring this post with a promotional item for the purpose of facilitating this advertorial content. 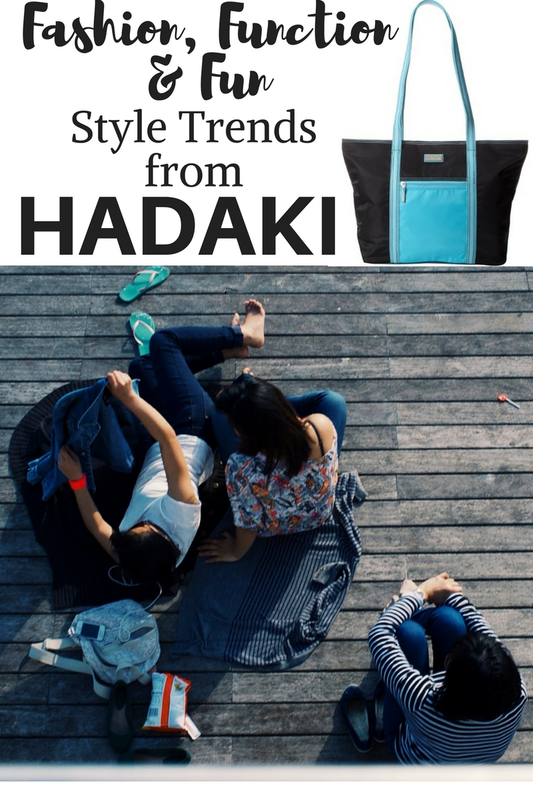 "HADAKI is all about affordable luxury and fashionable function." Finding just the right accessory is always a thrill for me when shopping. Discovering the affordable prices and high-end, luxury design and styles of HADAKI products was a milestone moment. acknowledging the fact that it was time for my daughter to move on from the casual comfort of her beloved backpack to a more functional, yet fashionable tote bag was a bittersweet realization. Choosing the eco-friendly, quality materials and design of HADAKI was an easy selection for her new fashion statement. HADAKI products originate from the bright, bold and festive New Orleans region featuring easy to maintain water resistant and wipe clean fabrics in exciting new designs delivering fashion, function and fun style trends. The HADAKI Cosmopolitan Tote was the fashionable, functional, fun style trend addition to fit her needs. See additional product details and purchasing information at the HADAKI website and Amazon.